I'm sorry to upset you, but there are hidden dangers of eating peanuts. Do you like nuts? I'm sure you do, but don't feel guilty about that. I love them too, and like many people around the world, I tend to eat much more than I should. The Real Question is this: is there something unhealthy about this munch,crunchy delicious snack that you should know? Well here's your rather scary answer—Poison. Now before you go tossing out every peanut and peanut product you have into the garbage, hear me out first. Aflatoxins are a group of toxins formed by natural moulds that grow on some food crops. Now here's the scary part: These toxins are potent promoters of liver cancer in animals, and men. And our tasty brown friend can be a great carrier of this poison. 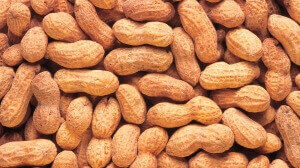 Once peanuts are exposed for even a period of time,they start to form the poisonous mould. You may not see it with your eyes but trust me—they are right there. But wait—don't Chuck your peanut butter out yet. As long as you buy nuts and eat them regularly, then there are a few guidelines you must follow to prevent any potential health complications. Always buy them from a reputable source, preferably in pre-packed bags with a clearly marked. Check for expiry date before buying. Since high temperatures and humidity affect them and cause the development of the mould and poison on them; you should always keep them in a cool dry place, and consume quickly. 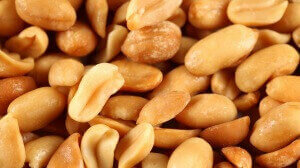 With regards to the heart, this amazing snack is rich in vitamin E which is one of your heart's best friends. Adding it took your Daily diet in small proportions is great because It is filled with heart-friendly polyunsaturates and monounsaturates. However I'd suggest you to play safe and try to eat lots of natural peanuts as well as the roasted salted ones. Killing the vital nutrients. Roasting destroys some of the folic acid and vitamin E, so don't over roast yours. Avoid the salt and save your heart. much salt is linked with a higher risk of high blood pressure. Follow the advice above, so that you can enjoy that peanut butter sandwich often without fear of negative Heath consequences.